Please read these Terms and Conditions carefully. In using this website you agree to be legally bound by these terms, which take effect immediately on your first use of the site. In consideration of The Eagles granting you access to the pages of the site, you agree to be bound by our terms and conditions of use. The Eagles and/or the authorised administrator shall have the right to refuse to allow you access to any part of the website at any time and for any reason without giving you any advance notice. Whilst effort has been taken to ensure that the site is free from viruses, no warranties are given that it is free from viruses and users are responsible for ensuring that they have installed adequate virus checking software. The Eagles shall not be liable for any viruses or any other computer code, files or programs designed to interrupt, restrict, destroy, limit the functionality of or compromise the integrity of the site or any hardware on which it is hosted. These Terms and Conditions are governed by and interpreted in accordance with the laws of England and Wales. Any disputes arising under or in connection with these Terms and Conditions shall be subject to the non-exclusive jurisdiction of the English Courts. 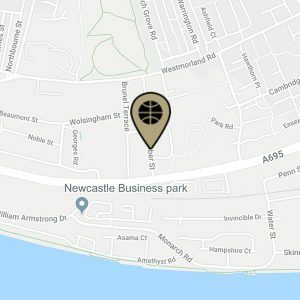 This site is operated by Newcastle Eagles Basketball Limited (registered number 3041174) and the Eagles Community Foundation (registered charity in England number 1112997) whose registered address is Newcastle Eagles, Eagles Community Arena, Scotswood Road, Newcastle upon Tyne NE4 7AF. 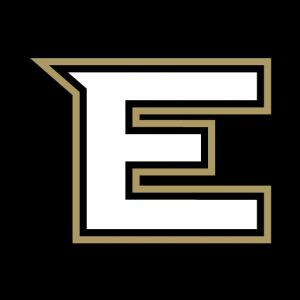 The Eagles’ site, its design, text, graphics, illustrations and images are (unless otherwise stated) copyright of Newcastle Eagles Basketball Limited, the Eagles Community Foundation, its Licensors or the relevant contributor. You may not copy, reproduce, republish, download, post, broadcast, transmit, adapt or otherwise use any copyright material in any way except for your own personal non-commercial use. All brand, product and service names used in the site are (unless otherwise stated) the trade marks, trade names or service marks of the Eagles or the parties to whom they refer. You may not distribute products or offer services under or by reference to or otherwise use or reproduce any such trade marks, trade names or service marks without the prior written permission of the Eagles or the owner of such trade marks, trade names or service marks.